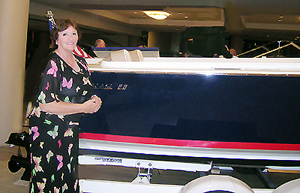 SU-O1 .Photos Said Bazze- In the 2011 “Yacht & Brokerage Show” in Miami-Beach, it was announced by the Italian Ferretti-Ggroup the kick-off of the golden era of one of their brands. 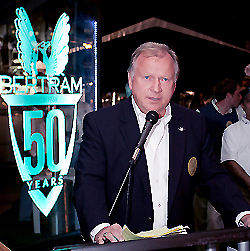 Made in USA Bertram Fishing Yacht celebrate their first 50years of marine excellence, constant high performance with their unique deep –V hulls in the most luxury sport fish boats. 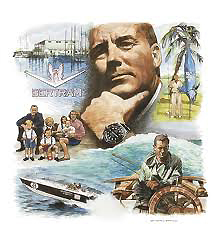 Richard Bertram founder, put his passion to build boats with speed and endurance; however, the top design and engineering in the planet got together and from designer Raymond C. Hunt to the world’s best naval architects; Speed, durability were now part of the “fish machine” with the comfort and tastes of the most beautiful Yacht ever and the legend has been build with consistency, quality and stability proved in the most hostile ocean conditions. 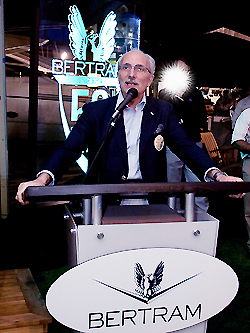 Then on April 2011, the luxury party in the Marina Marriott, blows the official anniversary of the golden Bertram Fishing Yacht with a huge celebration. There were the original workers of the firm, like a huge family all together plays jokes and share great memories in the called “Blast from the Past” top party. The welcome high end event, start with a exhibition about the extend heritage of the Bertram Fishing Yachtwith a record of it 12,258 unique design boats built with their owners personal taste. All attendees, owners’ brokers and executives have a real blast seeing together all the beautiful and luxurious Fishing Yacht and their evolution in the style and trends. Every one of the Bertram Fishing Yacht become a classic model to be treasure by their owners, men and women who enjoy the qualities that makes this Yacht so desirable. “How Could I rely on anything else but another Bertram” is a common opinion of the faithful costumers of the Bertram Fishing Yacht when they upgrade their models. Mr. Herndonsaid after dinner and award ceremony. The enjoyment of ownership shows in the statistics that most families spend large amount of time in their Bertram Fishing Yacht, than any other brand in USA aside the comfort and the excitement of the fishing sport; to become an owner of Bertram Fishing Yacht is being a part of a unique fishing family that can enjoy the tournaments together and become ambassadors in the international events and to be part of the exclusive Bertram Owners Council. 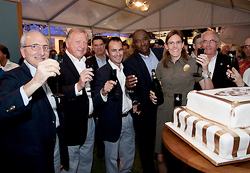 50 Years are not enough to continue the legacy of continuously refine for maximum performance finest design and efficiency in Bertram Fishing Yachtanother proud and fine product “Made in USA”, and the celebration continues May was the fishing trip to Guatemala with the Miami University Fishing Instructors. And the coming Pensacola Bill Fish in July, with the rest of Bertram fishing league 2011 with prices of thousand in each tournament for the rest of the Year. SU-O1- Dr. Alberto Pierini , Born in Maria Teresa, Santa Fe province in the Republic of Argentina. 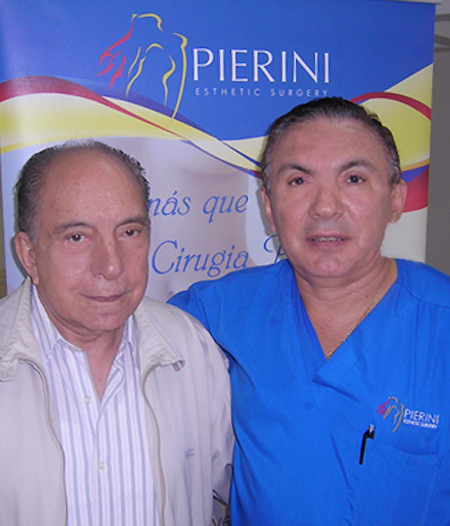 Son of Latin American pioneer in Plastic Surgery Dr. Albino Aurelio Pierini; Dr. Alberto Pierini follows as family legacy graduating as a General Medical University of Córdoba and doing internships in the Amazon Rainforest in Venezuelan territory. There are countless studies of renovation and improvement made by the Dr. Alberto Pierini throughout his career and is worth mentioning that the process has been (Visitor Fellow) from recognized institutions like the Universities of Miami, Duke Emory, Eastern Viginier and the University of Vienna in Austria. Dr. Alberto Pierinihas leading and coordinated several conferences and scientific activities in Plastic and Reconstructive having been invited to speak at conferences Venezuela, Paraguay and Mexico. Also participated as author or coauthor of numerous scientific papers, which have won awards in Venezuela and the world. For his extensive knowledge and experience Dr. Alberto Pierini Jury was also in contests AVACFA Award, Society of Rhinology and the Miss Venezuela Organization from 1990 to 2002 in addition to his position as an Advisory Member for the selection of Person of the Year Awards. If that wasn’t enough Dr. Alberto Pierini has been a member of medical associations in the world as: The Medical College of Amazonas Federal Territory, Miranda State Medical Association, Federal District Medical College, Venezuelan Medical Federation, Institute of Medical Welfare. Venezuelan Society of Plastic and Reconstructive Surgery, Federation of Ibero-Latin-American Plastic and Reconstructive Surgery (Section of the International Confederation for Plastic and Reconstructive Surgery) The American Society for Aesthetic Plastic Surgery, Venezuelan Association of cran-facial anomalies (AVACFA) The American Board of Surgical Assistants. 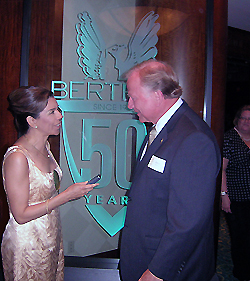 Throughout his professional career Dr. Alberto Pierini has developed a plastic surgical technique of perfection that several of his patients have achieved the most important title in the world of beauty such as Miss Universe. As major television networks in the world including: ABC Prime Time, A & E Entertainment, CNN, Telemundo, Televisa, Venevision, Globovision, Radio Caracas Television (RCTV), Discovery Channel, as well as television in Germany, Holland, France, Spain , Australia, Japan, Korea, Belgium and local national and international publications such as ELLE, Ocean Drive, Osmel, No.119 and recognized News Papers like “The Daily Journal” El Nacional “El Universal” “The World” has included in its contents and continually seeking your valuable opinion on matters of beauty. Today Dr. Alberto Pierini continued his practice in Venezuela and its his new clinic in Miami he has the best plastic surgeons team where he offer the best services, advanced technologies and the best trained people in the world of plastic surgery and the wide variety of non-invasive and effective alternative under the supervision of the extensive experience and proven expert ability on the Beauty Queens in the Miss Universe Contest by Dr. Alberto Pierini.